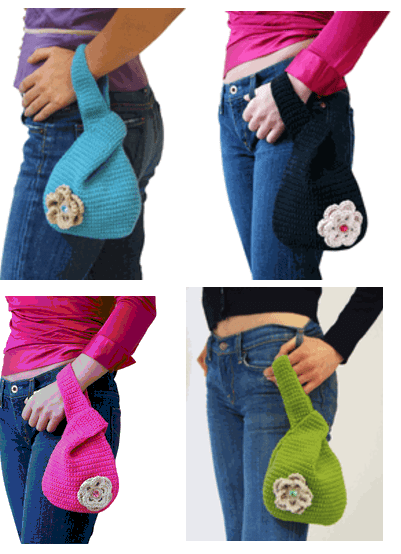 Stroll all day without killing your shoulder with this funky hand-crocheted city pouch purse. It's perfect for all of your essentials and easy to carry when you are shopping or out on the town, just sling around your wrist and go! Accented with a crocheted flower and a crystal. Measures 5.5" x 7" x 3"